This programme offers a vivid and varied cross-section of English song, ranging from the Edwardian aesthetic of Quilter and early Vaughan Williams to the intensely expressive style of Howells and Finzi. The Purcell realisations by Britten and Tippett, meanwhile, are products of two great 20th-century composers engaging with their musical heritage. 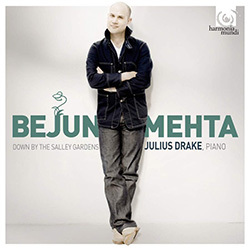 In all these different styles, Bejun Mehta shows the same verbal and vocal mastery that won such acclaim for his debut Handel recital on harmonia mundi.